A dramatic view towards the beach at Uiskentuie with the Paps of Jura in the distance. 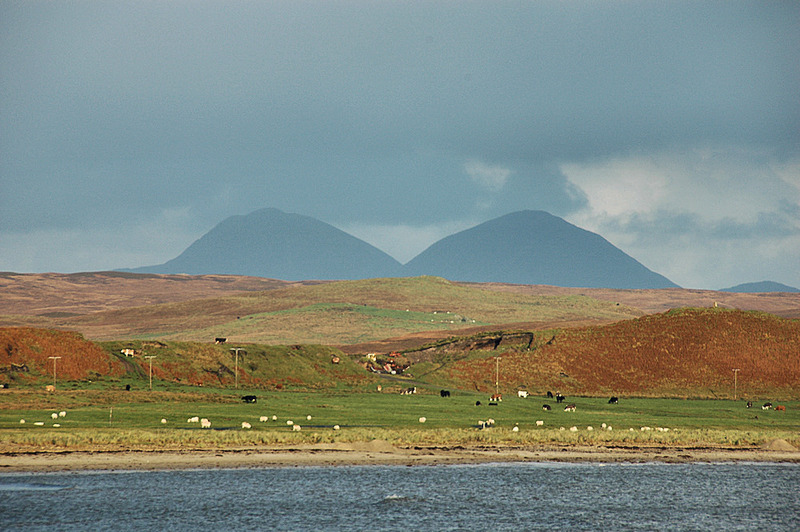 Some heavy dark clouds make the Paps appear almost black, only the foreground on Islay is illuminated by the sun. This entry was posted in Beaches, Cloudy Weather, Landscape, Repost, Sea Loch, Sunny Weather and tagged Islay, Loch Indaal, Paps of Jura, Rhinns of Islay, Uiskentuie by Armin Grewe. Bookmark the permalink.